Top 6 Money Saving Apps - Save on Groceries WITHOUT coupons! You are here: Home / Money / Top 6 Money Saving Apps – Save on Groceries WITHOUT coupons! Top 6 Money Saving Apps – Save on Groceries WITHOUT coupons! The following 6 apps can help you save money on groceries without clipping or printing any coupons! Or, you can be a savvy couponer and stack savings from these apps with coupons to maximize your savings! Generally speaking, each of these apps work the same. These steps may vary slightly depending on the app, so read on for some specifics and tips. SavingStar offers can be selected either via app or online. After signing-up with SavingStar, link up all of your store loyalty cards. Then, select the offers you would like. When you use your loyalty cards at checkout (as you normally do) the rebates will be automatically tracked and the cash sent into your account. For stores without cards linked to the app, you can manually send in your receipt by taking a picture. Once you reach $5 in rebates your cash can be put into a bank account, deposited into paypal, or donated to charity. 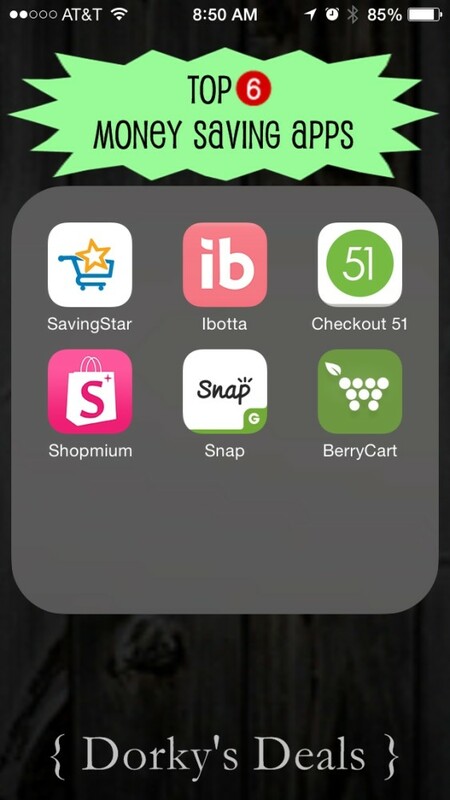 Before you shop, use ibotta to unlock rebates on products you would like to purchase. After shopping, use the app to verify your purchase (scan the items barcode with your phone's camera) and snap a picture of your receipt. You can earn even more cash with ibotta by completing their fun bonuses! Your rebates can be cashed in for gift cards or cash through PayPal. Use Checkout51 to browse offers, upload a picture of your receipt after purchasing the item, and the cash will be added to your account. Like SavingStar, you can browse offers online or on your phone. You can upload receipts both from your computer and from your smart phone. Offers are valid Thursdays to Wednesdays. Items must be purchased and receipt must be uploaded within the valid date range. Offers are available in limited quantities. Check your offer list before you go shopping to ensure that the offer is still available, and upload the receipt immediately after purchase to avoid disappointment. When your account balance reaches $20 you can cashout and Checkout51 will send you a check in the mail. 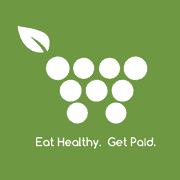 BerryCart focuses on the healthy side of grocery shopping (think all-natural, organic, gluten-free, non-GMO, etc…). Products featured on BerryCart are carried at over 100,000 locations nationwide, including Target, Whole Foods, Walmart, Safeway and Kroger. To earn rebates through BerryCart, select an item to purchase, read a tidbit about the product or company to un-lock the rebate, and then snap a picture of your receipt after you purchase the item. Your rebates can be cashed in for gift cards or cash through PayPal. * When taking pictures of receipts, be sure that the image is clear and that you capture the entire receipt, from top to bottom – this may take several pictures for loner receipts! * Stack these offers / rebates with store sales and coupons for a trifecta of savings! What is your favorite money saving / couponing app? Love this! I thought I was using all the money saving apps, but you introduced me to some new ones. I’ll definitely download Berrycart and Shopmium asap. Thanks for sharing! items that they need, will check these out. I’ve never heard of any of these. Thanks for sharing! This is a great list of apps to help one save money. I knew about some of them, but not all. Thanks. I really need a smartphone so I can save some more! I’m glad I stopped by. I finally got a phone that I can use these apps on. Thanks.